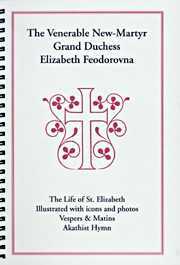 The Life of St. Elizabeth. Illustrated with icons and photos. Vespers & Matins. Akathist Hymn. 90 pgs.